Five Point Holistic Health is seeking a bodyworker to join our collaborative team. We are a worker-cooperative clinic in the Logan Square neighborhood specializing in acupuncture and Chinese herbal medicine. Contracts offered are 6 months duration, with a mutual opt-out assessment at 3 months. Option to renew contract at 6 month intervals. Immediate benefit from company marketing. After first three months, you will receive a photo and bio on the clinic’s website and business cards. Five Point is a worker-owner cooperative. We offer a path to member-ownership. Please ask for details. *We encourage candidates to visit Five Point’s website and read about our mission, our clinic, our services, and our team. In your cover letter, please address how your skills and/or professional philosophy would benefit Five Point’s mission. This spring we launched a new initiative called the Community Spotlight with the purpose of commending and promoting like-minded progressive businesses in our local community. We want to thank Logan Square Aikido for being our most recent partner in the spotlight program. Also, we deeply appreciate their donation of gift certificates to the raffle we featured at our one-year anniversary party. We have heard from the raffle winners that they are excited to begin their month of unlimited Aikido and meditation training. For July, we are partnering with Tula Yoga, a studio located in the heart of the Logan Square neighborhood at 2827 W. Belden Avenue. Founded by Logan Square resident Maile Wicklander, Tula is a clean, modern, and friendly environment welcoming all students at any level of experience. The folks at Tula believe that unwinding, having fun, and being part of a community is as important as the quality of their yoga instruction. To them, yoga should never be intimidating. Yoga is a 2,000 year old tradition outlined by the Indian sage Patanjali in a collection of 195 statements known as the Yoga Sutra. This tradition of yoga (from the Sanskrit word yuj meaning “to yoke” or union) is a multi-faceted discipline for the pursuit of philosophical and spiritual growth. In the west, it’s most commonly known and promoted facet is the physical practice of sequenced postures that train the body to be stronger, more flexible, and better balanced. Usually, the physical practice of yoga is enhanced by a focus on controlled breathing, conscious alignment of anatomy, non-judgmental awareness of the body’s abilities and limitations, the cultivation of patience, and being present in the moment. There is an adage in Traditional Chinese Medicine that states, “Where there is lack of free flow, there will be pain.” Lack of free flow, or stagnation, can be the starting point for numerous disease states including pain. We at Five Point understand that the engaging and relaxing of muscles and the movement of the joints through their full range of motion are tools for alleviating bodily stagnation that everyone can possess. Using these tools, a sequence of yoga postures will promote the free flow of vital energy, blood, and fluids through all of the body’s tissues, organs, and joints. Yoga is well known to alleviate pain, vitalize the spine and joints, promote healthy bone density, boost immune function, increase lung capacity, lower blood pressure, calm the nervous system, and enhance mental focus. Engaging in a yoga practice is an easy step one can take toward a responsible engagement with one’s health. The cultivation of awareness that happens when you move your body purposefully into and out of yoga postures fosters a greater awareness of how your body feels during the other activities of your life. Soon, you can sense when your physical or mental self is even slightly out of balance. This sensitivity allows you to take action to regain healthy balance sooner, so you can head off any impending health crisis. We at Five Point believe each person should feel empowered to make informed decisions about their own health and health care. We especially like Tula’s commitment to engaging with their community. You can find them at 10 am every Sunday offering yoga class to the wider community at the Logan Square Farmers Market. They also offer classes at Unity Park throughout the summer. If you are new to Logan Square, just visiting, or a long-time neighbor looking for recommendations, visit the community page of their website to find a long list of their favorite local businesses that you should check out. Their YogiCitizen Program is a special opportunity for you to serve the community we love while earning credits toward discounted yoga classes. Tula has partnered with several volunteer organizations to which you can donate your time. All they ask is that you document your volunteer hours with their special sign-off sheet. What a great way to encourage everyone to engage with the needs of the community! Please visit the YogiCitizen page of their website to find the volunteer opportunity that is right for you. One FREE CLASS to anyone who is new to Tula Yoga. Please redeem the wooden tokens we have at the Five Point front desk. $75 for a monthly membership at Tula, which includes unlimited yoga classes, 15% off on retail, discounts on workshops and events, and the option of bringing a friend to your first class for free (typical price is $99)! Lastly, we want to simply say THANK YOU to Tula Yoga for being a resource for better health and motivators for community service. Keep being awesome. We look forward to working together for years to come! Learn more about Tula Yoga’s instructors and class schedule on their website. Also like them on Facebook to keep updated with current happenings. Last month we launched a new initiative called the Community Spotlight with the purpose of commending and promoting like-minded progressive businesses in our local community. We want to thank The Dill Pickle for being our first partner in this endeavor. It was a fun month, and we look forward to continuing to march together as the Chicago co-op movement grows. For our second month we are highlighting a relatively new business to the area, one that bodes well for the health and wellness of our community: Logan Square Aikido. Another obvious choice for our spotlight program, our newest neighborhood Dojo settled into its brick and mortar at 2845 N Kedzie within the past year. Organized as a non-profit by instructors Enmei Hunter and Chris Wagner, their mission statement can be simply broken down to three words: Fitness, Focus, and Community. These values are three big reasons we chose them for our spotlight. Aikido means “the way of harmony with the force and principle of nature.” Aikido is a non-competitive martial art that utilizes throws, joint locks, and pins to counter the force of aggressors. The techniques of Aikido seek to blend and harmonize with the force of an attack and use dynamic movements and positioning to establish control. Through partnered practice, students learn to both apply and receive techniques correctly. Over time, each student will develop the ability to respond more dynamically, deal with more forceful attacks, and develop better overall body and situational awareness. Martial arts are built on the similar philosophical frameworks as Chinese Medicine and thus recognize the importance of balance between the mind and body. As mentioned earlier, the elements of fitness and focus are intertwined. At Five Point we believe that moderation and balance are the keys to long-term physical and mental health. From a fitness perspective, moderation has become more and more difficult due to a modern emphasis on high intensity forms of fitness. It is refreshing to see a balanced, holistic approach to physical and mental wellness available in our neighborhood. From the time we opened in the neighborhood, Chris and Enmei were supporters of our business. They are genuinely interested in building local community, making a point to be inclusive and welcoming, and working alongside other organizations for the benefit of the neighborhood. Discounts are also always available for patrons aged 16-21 and over 55. Lastly, we want to simply say THANK YOU to Logan Square Aikido for being another seed in the movement for social justice and conscious business practices. Keep being awesome, and we look forward to working together for years to come! Learn more about Logan Square Aikido’s history on their website. Also like them on Facebook to keep updated with current happenings. Additional perks include a $50 credit toward acupuncture or herbal consult services (bodywork and counseling not included), and herbs will be sold to you at cost. Interns may also be considered for future employment or membership and offered recommendations for employment elsewhere. As a central objective of the cooperative principals and our mission statement, we believe in fostering community and working together with other local businesses. In an effort to achieve and expand on this ambition, we have created an initiative we are calling the Five Point Community Spotlight. Simply put, instead of only promoting our mission and services, each month we will put other progressive local businesses in the spotlight, highlight what makes them extraordinary, and commend them for their contribution to our community. An obvious choice for our first spotlight, our neighborhood cooperative in crime sets the standard for what it means to be a triple bottom line business (having social, environmental, and financial goals). Over our first year we’ve become quite fond of working with Dill Pickle, especially on our partnership Homestead Logan Square. For those of you who are out of the loop, The Dill Pickle is a consumer food cooperative and grocery located just down the street from Five Point in Logan Square. Most of the Five Point team already shops regularly at the Pickle, and Ryan Palma is even on their board of directors. The Dill Pickle specializes in and excels at providing the highest quality organic and local produce, meat, dairy, and other products. Providing truly local food is no small feat, as they currently work directly with over 40 farms in the greater Chicagoland area. This accomplishment is revolutionary in the grocery world, as they were told it would be nearly impossible to primarily source directly from the farm. They truly understand the importance of knowing your suppliers personally, and they take their responsibility of providing and educating the consumer about sustainably grown produce and ethically raised animal products very seriously. From a quality of food perspective, we cannot recommend a grocery in the city with more confidence. In addition to their amazing food, Logan Square is very lucky to have such a leader in social justice in the community. As with any co-op, concern for community and education are central to their mission. The Dill Pickle cares about what is happening in the community, and they actively work to create opportunities to build a more cohesive, inclusive neighborhood. They lead one of Chicago’s more sophisticated outreach and volunteer efforts in their Hands On Owner Program and Block Club. Once an owner, these programs give you the opportunity to give back and get involved in the co-op and our community. Obviously here at Five Point we are big fans of democratic, cooperative business structures. So who owns the Dill Pickle? Its members! Having just eclipsed 1,500 active members, the Dill Pickle is owned collectively by a vibrant community of progressive and diverse community members. Maintaining a sense of ownership at your local food hub gives you a voice in what food is available and keeps you actively engaged in the community at large. Though you do not need to be an owner to shop at the Dill Pickle, we recommend that everyone consider the benefits to ownership. Lastly, we want to simply say THANK YOU the Dill Pickle for its work in the community over the last 5 years and for being a guiding light for ethical business practices. It is invaluable to have such a caring, connected grocery in the neighborhood. Keep being awesome. Learn more about The Dill Pickle’s history and their upcoming expansion (very exciting) on their website. Also like them on Facebook to keep updated with current happenings. And if you happen to be in for a treatment sometime in the Month of April, we will be giving out a 10% off coupon for your next grocery trip to the Dill Pickle. If you would like to recommend a local business or organization for our Community Spotlight program in future months, please email us at info@fivepointholistic.com. Everyone is looking forward to the end of winter and the beginning of spring, the switch from the darkness and cold weather to longer days and warmth. But why do we feel so energized come springtime? We hear the phrases "spring fever" or "spring cleaning" and know that change is in the air. According to East Asian Medicinal theory, each season has attributes that correspond to emotions, body functions, and trends. In EAM springtime is associated with wind, the sinews, and change. The wind we feel outside can also be felt internally, wiping away all the old habits and darkness of winter. Our sinews are ready to move again after resting for so many months, ready to experience new things. Changes are easier because the rebirth happening around us in nature supports and facilitates growth and renewal. Change is in the air, including at Five Point. As we approach our first year anniversary, we've grown wiser as business owners and clinicians. After much reflection and consideration, we have decided to make updates to our business, including our pricing model and hours, so that we may continue to fulfill the ideals of our mission statement. Our mission from day-one has been to provide high-quality, accessible holistic healthcare and education in an effort to cultivate long-standing relationships between highly-trained practitioners and the community that are socially and economically just. Per our mission, it is most important that we offer "high-quality" treatments. When we first opened our doors, we offered treatments and consultations in the community space every 15 minutes. We quickly discovered that 15 minutes was too short a time to provide detailed treatments, so in September we expanded treatment time to 20 minutes. Twenty-minute treatments are less rushed and more thorough. In order to sustain our business and continue to offer quality services, we are raising the prices of all 20-minute services by $5. The price of private acupuncture, bodywork, and psychotherapy sessions have not changed. The prices below reflect the changes effective April 1st. Even though this price increase is modest, we want to maintain our mission of accessibility. 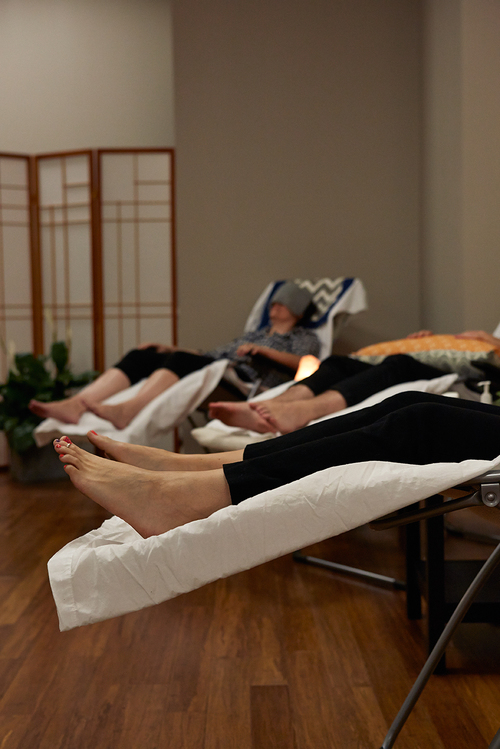 In an effort to keep our services as affordable as possible, we are now offering discounted packages for those who commit to several treatments. 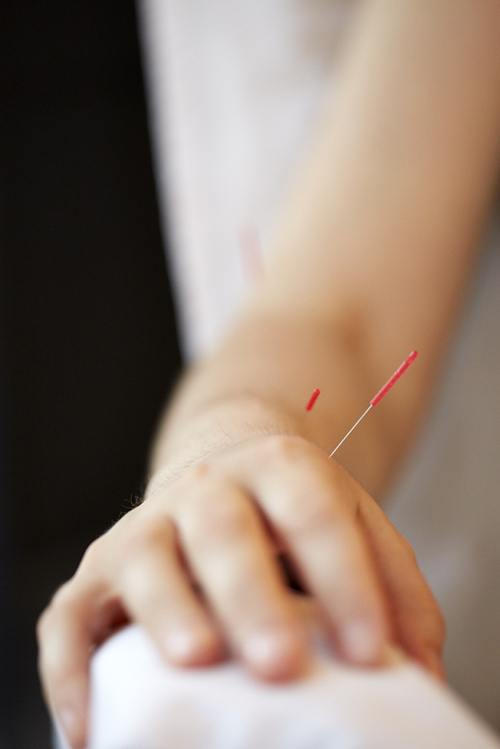 Packages are available for all services at Five Point including acupuncture, herbal consults, bodywork, and psychotherapy. Please speak to your practitioner for details. If you're eager to make an appointment and none of these times fit your schedule, don't hesitate to call or email us at info@fivepointholistic.com and we will make every effort to accommodate you. We are making these changes to commit to our mission and be a cog in the community. We promise to continue to improve for years to come. From the bottom of our hearts, we would like to thank everyone who has supported Five Point over the last 9 months. If you have any questions or concerns, don't hesitate to contact us. This business could not be a success without your help and feedback! It's a new year, which means many people are thinking about diets and detoxes after months of eating rich holiday foods. Research has shown, however, that most diets and juicing regimens are ineffective at best, dangerous at worst, and that unless you're a drug addict, you don't need to "detox." These diets are often focused on quick weight loss rather than healthfulness. If you're interested in starting 2015 with a new understanding of health and wellness beginning with the most basic form of medicine (food! ), then we've got you covered. East Asian Medicine views food and meal time as the first line of defense in both preventative care and the treatment of particular ailments. Within this system there is no concern for calories or micro-nutrients, and an emphasis is placed on the quality of food and mealtime. This diet is not designed to be temporary but rather a way to transform how you think about meals, your appreciation and care for what you put in your body, and your long-term health. After a few visits, you will feel more comfortable planning and choosing foods that are healthful for your particular constitution. There will be guidelines and recommendations to follow based on your goals, Chinese Medicine pattern diagnosis, and current lifestyle. Your practitioner will compile a list of recommended foods, recipes, and meal plans tailored to your individual constitution and health concerns with a focus on foods that are seasonal, local, and organic. This plan will be modified considering your budget, time constraints, and cooking abilities while addressing your specific fears, challenges, and dietary restrictions or allergies. The Dietary Therapy Program is designed to be a four-week series, and each session lasts 40 minutes. The program can be purchased as a package for $200, or sessions can be bought individually for $55. This service can only be booked over the phone, so call us at 773-466-9882 to schedule or if you have any questions! Five Point would like to proudly introduce and warmly welcome its newest teammate Kim Vachon, LPC. Kim is a Licensed Professional Counselor who provides therapy to individuals, couples and families. Kim’s areas of expertise include depression, anxiety, coping with trauma, and addressing issues that stem from relationships, work and stressful transitions. Kim holds a Master of Arts in Counseling Psychology from the Adler School of Professional Psychology and a Bachelor of Music in Music Education and Bachelor of Arts in Psychology from Lawrence University. Kim’s therapeutic philosophy is based on a psychodynamic perspective and incorporates a holistic worldview where mindfulness and awareness of mind and body help to facilitate change. The focus of her therapy is to bring awareness to patterns that may be negatively impacting the client’s life and to discover how the relationship with others and his or herself influences thoughts, emotions and behaviors. These therapy sessions are offered in a private room and may occur weekly or on an as needed basis. Kim is available beginning September 10th on Wednesdays from 9-12 and Fridays from 10-6, though other appointment times may be arranged. She offers an initial free 30-minute consultation and 1-hour sessions for $75. Appointments can be made on our website, by phone, or by contacting Kim directly at kim@fivepointholistic.com. Know of any talented body workers?? 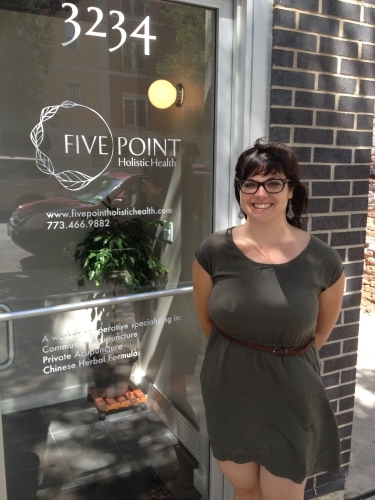 Five Point is looking for massage therapists. We'll be taking applications through August, click on the job description below to review and send any resumes and cover letters to info@fivepointholistic.com.